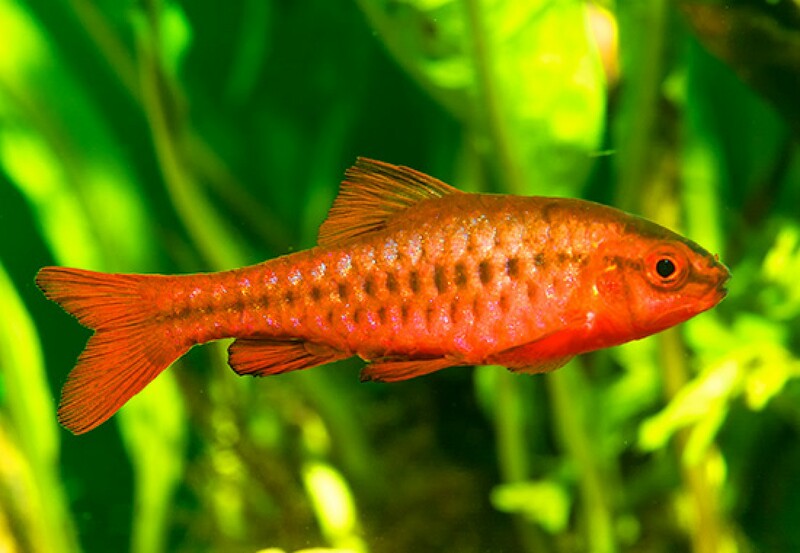 In the article I’m going to tell you about Breeding the Cherry Barb, Puntius titteya. 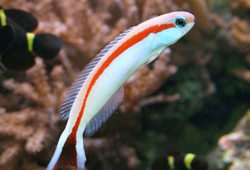 The cherry barb, Puntius titteya, is a common aquarium fish that is an easily spawned egg layer. The fry are somewhat hard to rear as they require extremely small food and protection from their parents, but when these needs are met they do very well. This is a description of my experiences in spawning and rearing cherry barbs. My first male and female began courting the evening I took them home from the pet shop. They began spawning the following morning, and did so frequently after this. The male was extremely assiduous in courting the female, and would not stop chasing her around the tank. I went back and bought a second female in order to give the first some peace, and then started adding other fish species to the tank. Fry did not survive in the community tank. In order to raise fry, I moved the cherry barbs to a 5 gallon tank containing Java moss and Java ferns. I did not succeed in raising any fry from the first spawnings due to an inadequate food supply. It was the middle of winter; all green water sources were frozen and I could not buy any food aimed at egglayer fry in the local pet store. When I tried again later, the weather had warmed and I had also taken to creating green water indoors which gave me a food source for the young fish. I only succeeded in raising one fish the first time, but the fish was a healthy female. I believe the scarcity of offspring in this case may have been due to a poor spawning. I later left the three fish together in the 5 gallon tank. 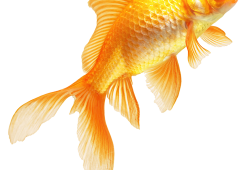 I had not intended to raise any offspring, but when I looked inside a jar of dirty fish tank water I was about to pour on my houseplants I discovered a young fish swimming inside. I then moved the adults to the main tank and proceeded to add green water 2 to 3 times a day to the little tank, graduating to egg yolks squished through nylon stocking and crushed flake food as the fry grew. Some 40 or so young fish from that spawning survived. While cherry barbs have a reputation for being shy and rather timid fish, I found that this was untrue of the male so long as there were both females and hiding places around. Under these circumstances the male spent the majority of his time displaying and chasing the females. He was in fact the most aggressive fish in the tank, chasing my neon tetras and occasionally attempting to chase the corydoras catfish which were larger than he was. They ignored him, but his harassment of the female Cherry barbs appeared to cause them stress. One developed a fungus patch on her side which disappeared after I separated her from the male, and one female jumped out of the 5 gallon tank with fatal results. I believe she did this in an attempt to escape the male’s attentions, and any future breeding of cherry barbs will be done with a cover on the tank. The male’s aggressiveness in this regard severely surprised me as nothing I had read about this species suggested this level of aggression. 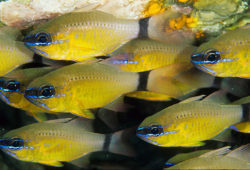 It is notable that his aggressiveness only occurred when females were present; in the absence of females he usually hid in the darker corners of the tank.